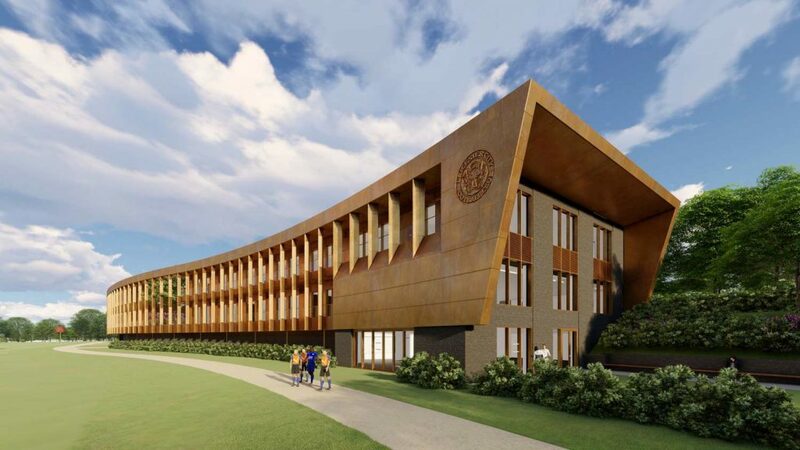 Leicester City Football Club has appointed McLaren Construction Ltd as the principal contractor to build its new state-of-the-art training centre at the former Park Hill Golf and Fishing Centre at Charnwood. The main building is an impressive structure that moulds into the landscape. Surrounding the building will be 11 full-size outdoor pitches, eight smaller pitches, five training grids and two goalkeeping areas. 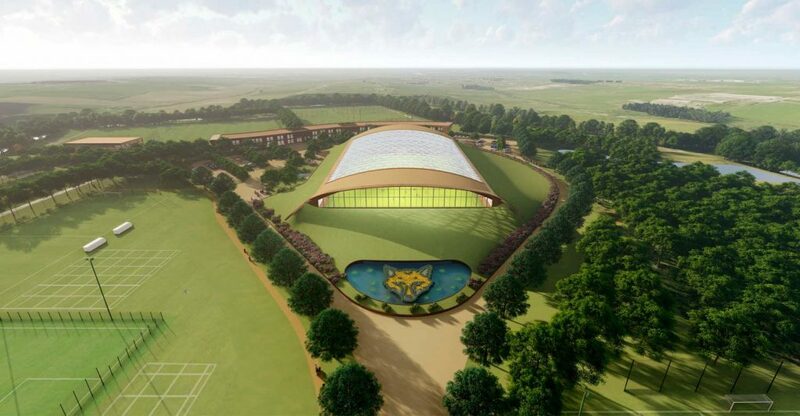 The indoor facilities include 35 bedrooms, a hydrotherapy pool, rehabilitation facilities and dining areas for the club’s academy and first team, as well as administration offices and a media centre. Next to the main building is a full-size indoor artificial pitch. The centre will include a sports turf academy, to train the next generation of grounds-people, and a 499-seat mini-venue show pitch, so that the under-23 and under-18 teams can experience a match environment. The project supports biodiversity in the area, with the creation of 17 new ponds over 9,400sqm, to attract wildlife and help to manage surface water drainage. In addition, 38,000 new trees will be planted across more than 11 hectares of retained woodland, alongside 4.4 hectares of new planting and landscaping and 14.6 hectares of wildflower grassland. To facilitate the earthworks, protected newts were collected and rehomed in newly formed areas prior to Christmas. The remainder will be relocated as they emerge from hibernation. From the existing ponds on site, approximately 400 fish have been netted and moved to a new home elsewhere on site. The centre is set to complete in mid 2020.